Dr. Akhilesh Kumar is currently working as Young Scientist at CSIR-National Botanical Research Institute, Lucknow. 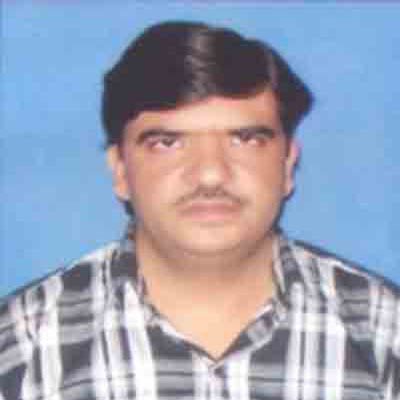 He has completed his Ph.D. in Botany from Dr. Ram Manohar Lohia Avadh University Faizabad. Previously he was appointed as Lecturer at Pratap Bahadur Postgraduate College, Pratapgarh, and Research Associate at CSIR-National Botanical Research Institute, Lucknow. He is professional member of Italo-latin American Society of Ethno Medicine, and the Blue Planet Society. He is member of editorial board in International journal of Botany, Research Journal of Medicinal Plants, Asian Journal of Biological Science, Journal of Biological Science, Journal of Applied Science, and Life Science Leaflets. He is also serving as reviewer for many scientific journals. He has published 28 research articles in journals contributed as author/co-author. His area of expertise includes quality and safety evaluation of herbs and herbal products, waste land management, macro-propagation techniques, development of package of practices for cultivation of medicinal, aromatic and energy crops, extraction and evaluation of herbal dye and pesticides, utilization of industrial wastes in agriculture, and ethno botany. Pandey, V.C., P. Prakash, O. Bajpai, A. Kumar and N. Singh, 2015. Phytodiversity on fly ash deposits: Evaluation of naturally colonized species for sustainable phytorestoration. Environ. Sci. Pollut. Res., 22: 2776-2787. Kumar, A. and S.K. Tewari, 2015. Origin, distribution, ethnobotany and pharmacology of Jatropha curcas. Res. J. Med. Plants, 9: 48-59. Kumar, A., D.D. Tewari and S.K. Tewari, 2014. Ethnobotanial Healthcare Management Practices in Uttar Pradesh: Ethnophytotherapeutics and Crude Drug Formulations of Tharu Tribal Community. Lambert Academic Publishing, Germany, ISBN-13: 978-3-659-60881-0, Pages: 280. Kumar, A., 2014. Jatropha curcas: A Potential Genetic Resource For Herbal Medicine and Liquid Bio-Fuel. GRIN Publishing GmbH, Munich, ISBN-13: 978-3-656-84962-9, Pages: 28. Kumar, A. and N. Singh, 2014. First report of Maconellicoccus hirsutus Green infestation on Jatropha curcas saplings. Phytoparasitica, 42: 71-73. Pandey, V.C. and A. Kumar, 2013. Leucaena leucocephala: An underutilized plant for pulp and paper production. Genet. Resour. Crop Eval., 60: 1165-1171. Kumar, A., V.C. Pandey, A.G. Singh and D.D. Tewari, 2013. Traditional uses of medicinal plants for dermatological healthcare management practices by the Tharu tribal community of Uttar Pradesh, India. Genet. Resour. Crop. Eval., 60: 203-224. Kumar, A., 2013. Ethnobotanical study of wild vegetables used by rural communities of Kannauj district, Uttar Pradesh, India. Emir. J. Food Agric., 25: 760-766. Singh, A.G., A. Kumar and D.D. Tewari, 2012. An ethnobotanical survey of medicinal plants used in Terai forest of western Nepal. J. Ethnobiol. Ethnomed., Vol. 8. 10.1186/1746-4269-8-19. Pandey, V.C., K. Singh, J.S. Singh, A. Kumar, B. Singh and R.P. Singh, 2012. Jatropha curcas: A potential biofuel plant for sustainable environmental development. Renewable Sustainable Energy Rev., 16: 2870-2883. Kumar, A., V.C. Pandey and D.D. Tewari, 2012. Documentation and determination of consensus about phytotherapeutic veterinary practices among the Tharu tribal community of Uttar Pradesh, India. Trop. Anim. Health Prod., 44: 863-872. Kumar, A., 2012. Medicinal plants as a source of antipyretic agent in Terai region of Utter Pradesh, India. Life Sci. Leaflets, 2: 45-52. Kumar, A. and N. Singh, 2012. Jatropha gossypiifolia L.: A potential genetic resource for herbal dye. Genet. Resour. Crop Evol., 59: 949-954. Pandey, V.C., J.S. Singh, A. Kumar and D.D. Tewari, 2010. Accumulation of heavy metal by chickpea grown in fly ash treated soil: Effect on antioxidants. Clean: Soil Air Water, 38: 1116-1123. Pandey, S., A. Mishra and A. Kumar, 2010. Medicinal flora of degraded forest ecosystem at Chilbila, Pratapgarh, Uttar Pradesh. Scitech, 5: 20-25. Mishra, A., S. Pandey, A. Kumar and D.D. Tewari, 2008. Phytotherapy against piles used by Tharu tribes in devipatan division Uttar Pradesh. Scitech, 3: 10-12. Mishra, A., S. Pandey, A. Kumar and D.D. Tewari, 2008. Cleome viscosa: Role in traditional healthcare management. Scitsech, 3: 15-16. Kumar, A., A. Mishra, S. Pandey and D.D. Tewari, 2008. Phytotherapy against hair disorder among Tharu tribes in North Eastern Terai belt of Uttar Pradesh. Vegetos, 21: 85-89. Kumar, A., A. Mishra, S. Pandey and D.D. Tewari, 2008. Ethnophytomagicotherapeutics among the Tharu tribes in North Eastern Terai belt of Uttar Pradesh. Vegetos, 21: 91-97. Kumar, A., D.D. Tewari and A. Mishra, 2007. Ecological concept of Tharu folk in North Eastern Terai belt of Uttar Pradesh. Indian J. Environ. Sci., 11: 141-143. Kumar, A., D.D. Tewari and J.P. Tewari, 2006. Ethnomedicinal knowledge among Tharu tribe of devipatan division. Indian J. Tradition Knowl., 5: 310-313. Kumar, A., D.D. Tewari, R. Sharma and V.C. Pandey, 2005. Practices of folk- phytoveterinary in devipatan division Uttar Pradesh, India. J. Nat. Conserv., 17: 153-161. Kumar, A., D.D. Tewari and V.C. Pandey, 2005. Folk Botany of Achyranthes aspera in Terai belt of North Eastern Uttar Pradesh. Vegetos, 18: 89-92. Tewari, D.D., N. Srivastava, A. Kumar and S. Tripathi, 2003. Floristic and phonological observations in industrial areas of Balrampur district. J. Living World, 10: 12-20. Kumar, A., D.D. Tewari and Y.N. Pande, 2003. Indigenous and traditional herbal medicines from Gonad district of terai belt of North Eastern Utter Pradesh. J. Nature Conserv., 15: 261-268. Kumar, A., D.D. Tewari and Y.N. Pande, 2003. Ethnophytotherapeutics among tharus of beerpur semara forest range of Balrampur. J. Econ. Taxonomic Bot., 27: 839-844. Kumar, A., D.D. Tewari and S. Tripathi, 2003. Herbal medicines from Ayodhya region of Faizabad district: An ethnophytopharmacological survey. J. Living World, 10: 26-32. Kumar, A., D.D. Tewari and S. Tripathi, 2003. Folk Botany of an obnoxious weed Lantana sps in Terai belt of Northeastern Utter Pradesh. Vegetos, 16: 21-26.